Gateway Festival returns to Bengough, SK, this summer, and the first round of performers has just been announced. The initial 2018 lineup is topped by the Kentucky Headhunters, Kathleen Edwards and Yukon Blonde. 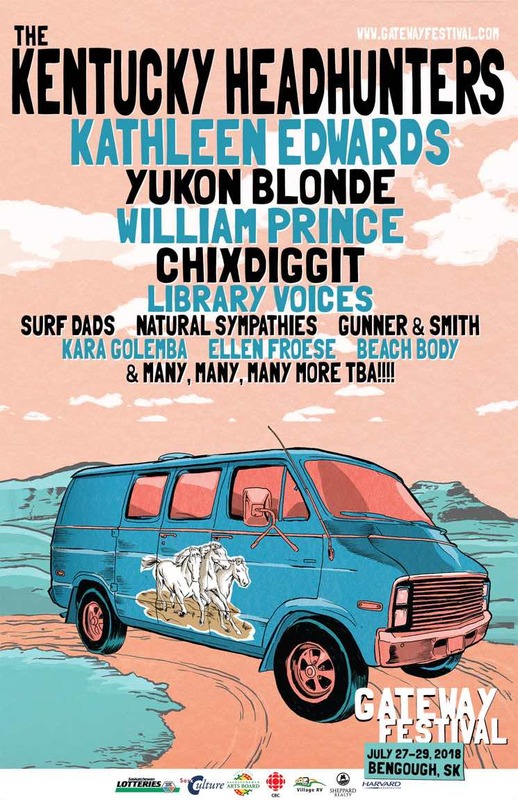 Also slated to perform are William Prince, Chixdiggit, Library Voices, Natural Sympathies, Surf Dads, Ellen Froese, Kara Golemba, Gunner & Smith and Beach Body. The festival runs from July 27 to 29 at Bengough Regional Park, just on the edge of the Big Muddy Badlands. Tickets for the event are currently on sale here. Adult weekend passes are $95 and youth weekend passes are $55. Relive last year's event in photos over here, and find full festival information and updates on the 2018 edition at the official Gateway Festival website.